It's been quite the week for the 25-year-old rookie. Cave extended his hit streak to six games Tuesday after starting the streak with a three-hit game last Thursday. 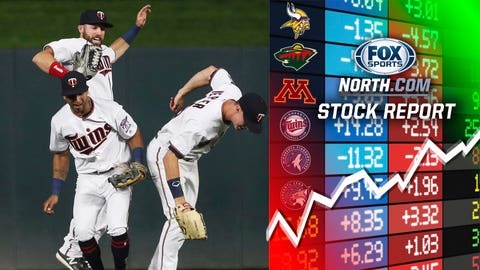 And while he's no Byron Buxton, Cave has been no slouch in center field, making a series of impressive catches in the series against Baltimore over three straight days, including robbing two home runs. Da Beauty League -- Minnesota's favorite summer hockey league -- is back. 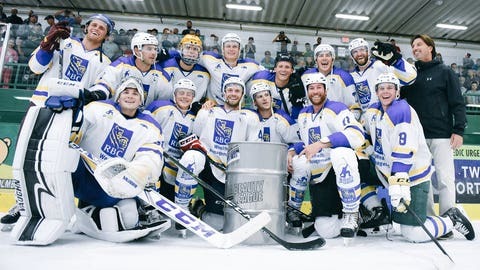 Local pros and college players will once again take the ice in Edina, Minn., for some lighthearted hockey this summer. More on that here. Reed is headed to the disabled list for (remarkably) the first time in his seven-year major-league career. The veteran reliever is dealing with tightness in his right triceps and will be replaced for the moment by fellow right-hander Alan Busenitz. 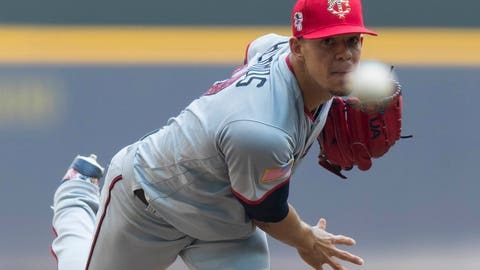 Berrios is headed to the All-Star Game for the first time in his three-year career. 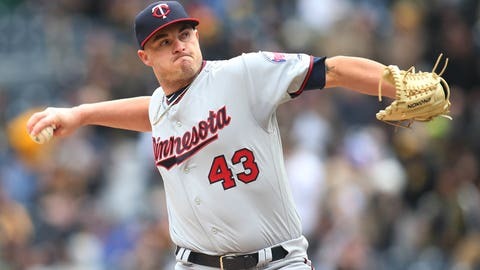 The 24-year-old picked up another win Monday, going seven innings in a win over the Kansas City Royals and allowing just one run on six hits. He recently recorded his 300th career strikeout, reaching the milestone in just 57 starts. Kepler has struggled mightily at the plate recently, but has been steadily turning things around. 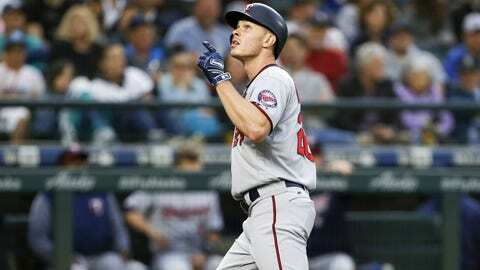 The 25-year-old has at least one hit in six straight games, a streak that includes two multi-hit games, two home runs, a double and a triple. Kepler has struck out just twice over that span.